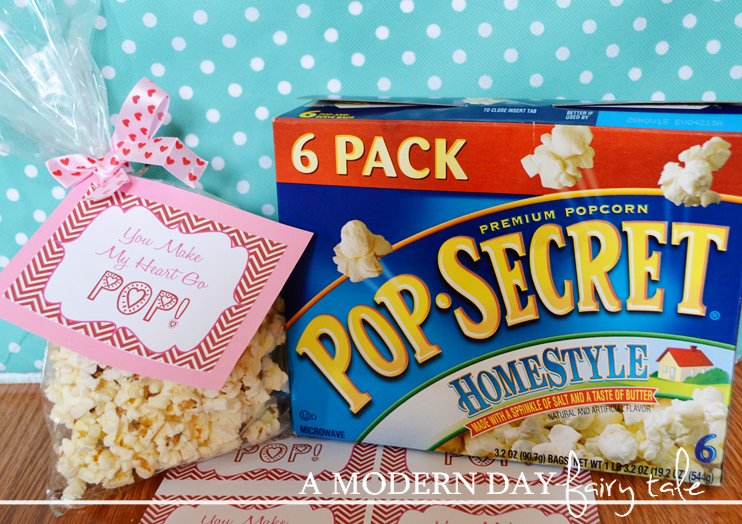 Today’s post is sponsored by Pop Secret, by my love for their popcorn is all my own! Are you on the hunt for the perfect treats for Valentine's Day, but don't particularly want to give kids candy? I'm right there with you- they already get so much! So this year rather than passing out something sweet, we opted to go with something a little salty instead- popcorn!! What kid doesn't love popcorn? It's fun, it's easy and it's inexpensive! The perfect non-candy treat. 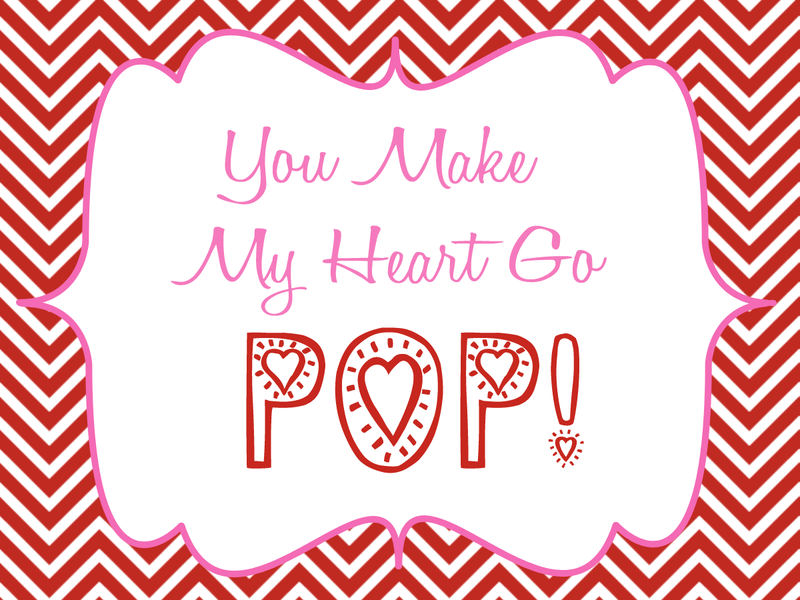 Print this free printable and cut out! Feel free to back with colored cardstock for more dimension, if desired! 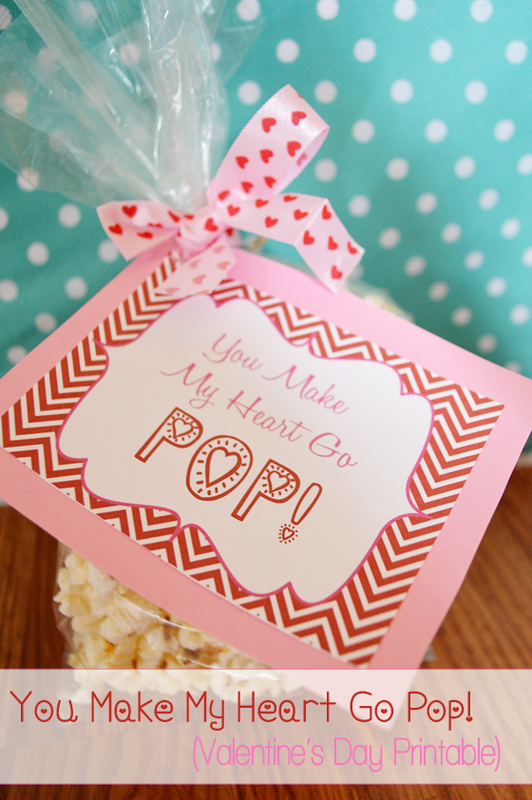 Use a hole punch to punch a hole or two to attach to your popcorn bags. Attach with your ribbon (yarn or twine will work well here as well). Don't forget to visit Pop Secret for a coupon for $1 off 2 Pop Secret products...and share your best fort photos for a chance to receive a free goodie bag from Pop Secret! These are adorable for Valentine's treats! I love that it is popcorn and not candy.